A new project from Common Vision sets out to study the informal activities that lay the foundations for healthy, resilient communities and contribute to intergenerational mixing and exchange. With the decline of the traditional town centre and new forms of technology facilitating social interaction, the ways in which we form and strengthen relationships are changing. This applies to relationships within families as much as other social groups. Common Vision is working in partnership with the Society of Chief Librarians to explore what family learning means and how it can be facilitated by libraries and their partners. This project is funded by Arts Council England. We want to explore how families use local assets and community resources, with a specific focus on family learning. How can people utilise local assets and community services to learn new skills? What sorts of activities encourage different generations to participate together? It’s worth mentioning here that our working definition of family learning refers to activities outside of a formal education setting, undertaken by members of two or more generations who have a family, guardianship or caring relationship. Through these activities, participants learn with and from each other. We want to hear from you. What does family learning mean to you? What activities do you have on offer and what would you like to do in future? If you work in a particular library or library authority, please contribute your thoughts here. If you don't, we still want to hear from you here. The research will feed into a report that will be freely available, published online in Spring 2017. 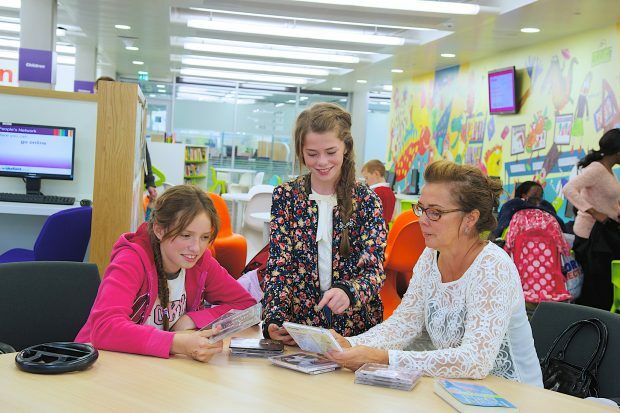 The report will include recommendations to the SCL to form a family learning offer for libraries in England. We may use the information from the survey in the report, and we will contact some respondents to participate in a longer interview to develop into more detailed case studies. There are opt-in questions for both of these at the end of the survey so we will keep answers anonymous and won't contact people unless they agree on both counts. If you have questions about this piece of research, please email Katy directly. To keep up to date with Common Vision’s activity, follow them on twitter.